As an Associate and Financial Analyst for Brookwood Group, Chris is involved in several of the firm’s Bay Area development and advisory projects including 380 units of housing in Oakland, and a mixed-use commercial, hospitality and residential project in Santa Clara. In addition to working closely with Alan Katz on the management of these projects, Chris is providing the financial analysis and proforma underwriting for the project funding for the Pacifica School District Workforce Housing. Throughout his career, Chris has played an integral role in billions of dollars of real estate development projects and investments. 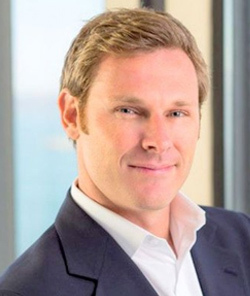 Prior to joining Brookwood, Chris acquired multifamily properties as an Investment Manager for Veritas Investments, the largest owner of apartments in San Francisco. His responsibilities included developing the investment strategy for each new acquisition, raising debt and equity capital, and leading the financial analysis, due diligence, and closing process. Chris then oversaw the design and construction team to execute on the rehabilitation or redevelopment strategy. Chris also worked with Stockbridge Capital, where he played a key role in the development and capitalization of some of the largest projects in California including Bay Meadows Phase II, located in San Mateo, and including more than 1,100 units of housing, 700,000 square feet of office, and the public infrastructure to support the community--including parks, utilities, and specifically a land pad sold to the Nueva School for its new High School that opened in Fall, 2014. Chris worked closely with the executive managing director of Stockbridge providing the complex financial analysis required for the asset management and strategic positioning of Hollywood Park, a $3 billion mixed-use 238-acre village located in the heart of Los Angeles that will include housing, office, retail, and the new NFL stadium to host the LA Rams. Prior to moving to San Francisco, Chris worked with The London Group Realty Advisors in San Diego where he specialized in market analysis and financial feasibility studies for investment and development projects including student housing, office, and retail. Chris has also worked in architecture and construction management, and holds a BA in Economics from UCLA.